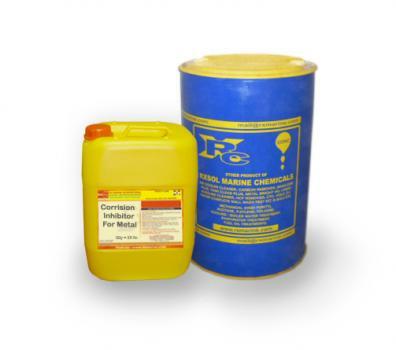 A POWERFULL corrosive preventive to prevent corrosion from seawater in ship BALLAST TANK. It contains organic and inorganic inhibitors with Zinc. 25, 50, 210 Ltrs. It contains organic and inorganic inhibitors with Zinc. Corroision Inhibitor for METAL Ballast Tank resulting film formation and provide Zinc ppm level inside the Ballast Tank. 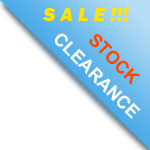 It contains no chromates and is completely soluble in sea water. RXSOL-23-2901-025 is film-forming corrosion inhibitor. 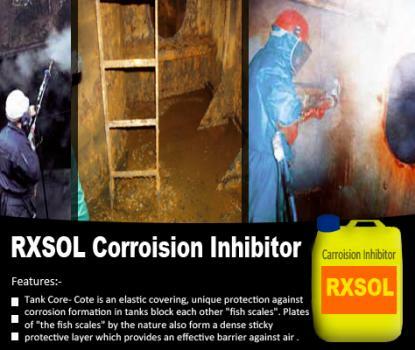 RXSOL-23-2901-025 is useful for Ballast Tanks, Bilges, Voids, Cofferdams and Barges.